The Samsung Galaxy S9 might not be making an appearance at CES 2018, but you will not have to wait that long for it to arrive. The company’s upcoming flagship family has been reported by Samsung’s mobile chief to get unveiled next month, and by now, nearly all of you can guess at which event it is going to be showcased. According to a report from ZDNet, Samsung’s mobile head, DJ Koh, is going to be revealing the Galaxy S9 and Galaxy S9+ next month, and for those that do not know, MWC 2018 kicks off next month. For most readers, the Galaxy S9+ is going to be a better buy and here’s why. The Galaxy S9 has been rumored to be available in the 4GB RAM/64GB storage and 4GB RAM / 128GB storage flavors. This does sound like a decent configuration, only for one big problem. 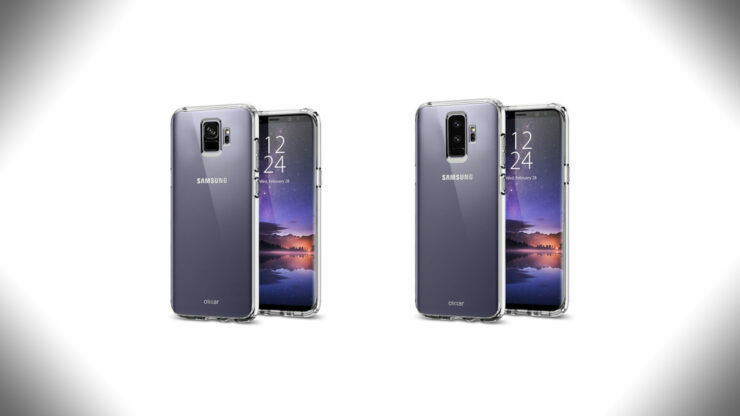 The Galaxy S9+ will definitely have more attractive specifications, because not only will it be offered with 6GB of RAM, the rumor states that it is going to be offered in 64, 128, and 256GB of onboard storage options. 256GB of internal story might sound like overkill, but if you remember the Exynos 9810 launch, Samsung detailed that the SoC has the capability to record 4K footage up to 120FPS. At that bandwidth, the amount of storage it will consume is going to be unimaginable, even if Samsung manages to cap the framerate at 60FPS while recording at 4K. Another benefit of picking up the Galaxy S9+ is that it has been rumored to come with a dual camera. The secondary camera could have a telephoto lens like the Galaxy Note 8, but because the fingerprint reader is going to be present beneath the camera lens and not next to it, unlocking the smartphone is going to be a piece of cake. Are you excited for the imminent unveiling of both the Galaxy S9 and Galaxy S9+? Tell us down in the comments.